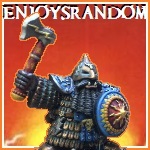 Warcolours & Enjoysrandom presents: The 29th Golden Hat competition on Chaos Dwarfs Online! 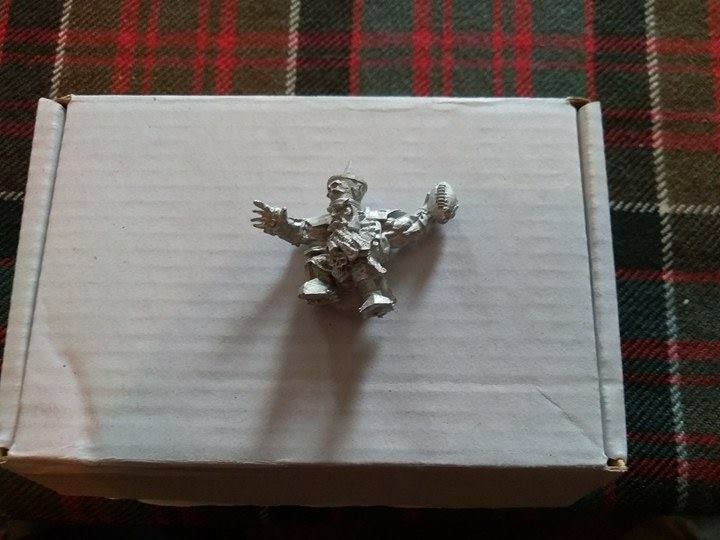 For this contest we want you to model and paint Chaos Dwarf Blood Bowl team miniature/s of some sort, be it Hobgoblins, Minotaurs, Bull Centaurs, Chaos Dwarf players or off-the-pitch characters such as an apothecary, cheerleaders, coach, hired wizard or knocked-out player. 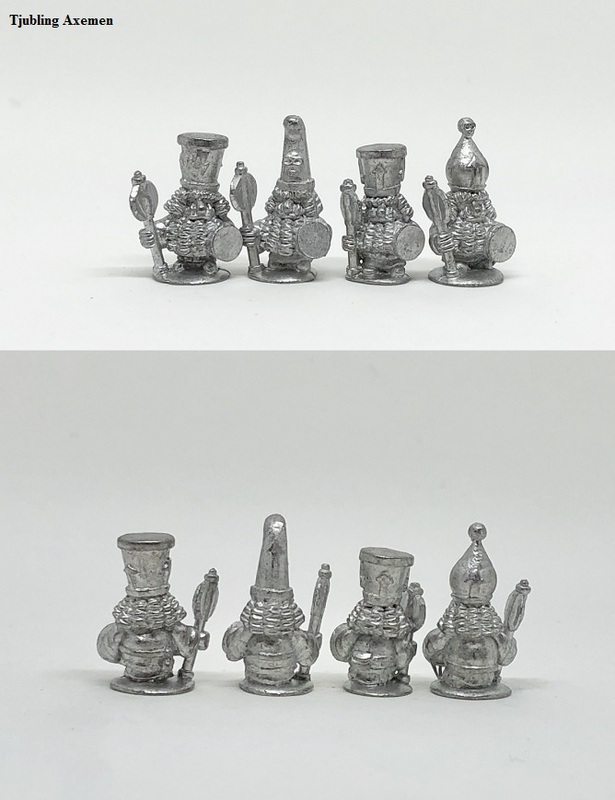 Any combination of these kinds of Chaos Dwarf-appropriate miniatures are fine. You can enter with a single model, or up to a full team with sideline attendants (but only one team per entrant). This is not a scenery contest, so do not include a stadium, spectator stands, dugout or suchlike terrain. However, you may photograph your miniatures on the pitch, a grassy plain, cobblestones or suchlike playing field as background. If you are unsure if your entry will fit the subject matter, please contact Admiral or Bloodbeard and they'll sort it out with the rest of the Staff. Basing is unrestricted and up to your discretion with the following exception: Display bases and plinths are not allowed. Subject: Chaos Dwarf Blood Bowl. Bases: Up to your discretion. No display bases, plinths, though, please. All entries must be sent to the Golden Hat account no later than the due date. Entries will not be accepted after this. (Entrants have approximately 6 weeks to complete entries). If for some reason you are having trouble with your submission, contact Admiral or Bloodbeard. In order to avoid problems, entrants should not wait until the last minute to submit their entries. 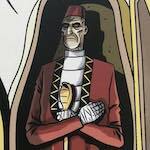 - Win a display miniature, Tjublings or slave heads! See above for details. This post was last modified: 01-25-2018 01:08 PM by Admiral. Might have something to enter here, we’ll see. Nice theme! Have to think out something! Ooooh have an idea.Might be able to enter ar last. This post was last modified: 12-17-2017 10:54 AM by Ghrask Dragh. Hmmm... As with others this falls outside of my range when it comes to CDs unless the models also work for standard gaming. Will see if perhaps I can come up with something. May sit it out though. Thanks Admiral, for the amount of variety between contests. Apparently, this is not for everyone, but that will be the case with any theme, so the change of theme is much appreciated. Jackswift, you could make an apothecary or coach that could still be used as a daemonsmith? This post was last modified: 12-17-2017 01:03 PM by Helblindi. Great to see the comp is up, hope someone who will enjoy my prize wins it. 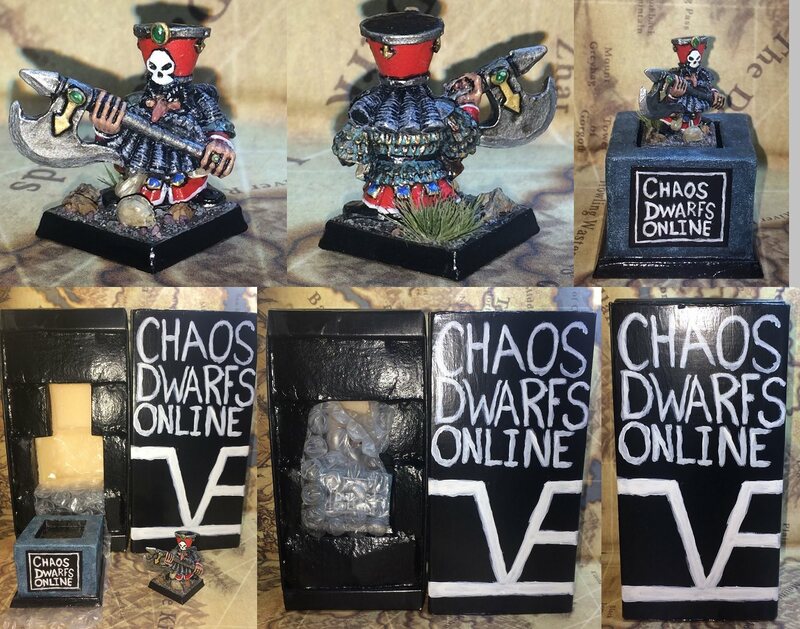 With the last Chaos Dwarf themed blood bowl Kickstarter a massive success and with Pyro Sticks Blood Bowl thrower sculpted by Rozmax now up for sale I would have thought there would have been too many entries! 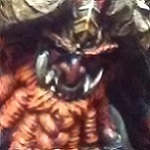 come on guys This Model should make this comp easy and you even get a €10 Warcolours store coupon for entry! at only £6 a model you almost make money... and support the community doing it! This post was last modified: 12-18-2017 11:06 AM by Enjoysrandom. I have a few ideas brewing... and will likely enter. Woe to the perfectly good models that will be sliced up in the name of conversion... Bwa ha ha. The Rozmax model is quite cool and I think I may have to pick one up just to paint it. Not obligatory. In case someone want to put their BB minis on e.g. 25mm square or hexagonal bases, we won't forbid it. However, round bases are standard in Blood Bowl and you can't go wrong with sticking to rounds. shouldn't they be football shaped? How big are the squares on a standard pitch? That would be good to know. Standard BB pitch was made of 29mm squares if i remember correctly. Don't know if the new pitch got larger squares. The BB2016 pitches are 34mm squares and the miniatures on 32mm bases. Making some progress, though my initial dreams are starting to look (as usual) not realistically attainable. How is your violent fantasy footballing efforts going, folks? My entry is freshly completed, its pretty rushed but least it will be another entry!